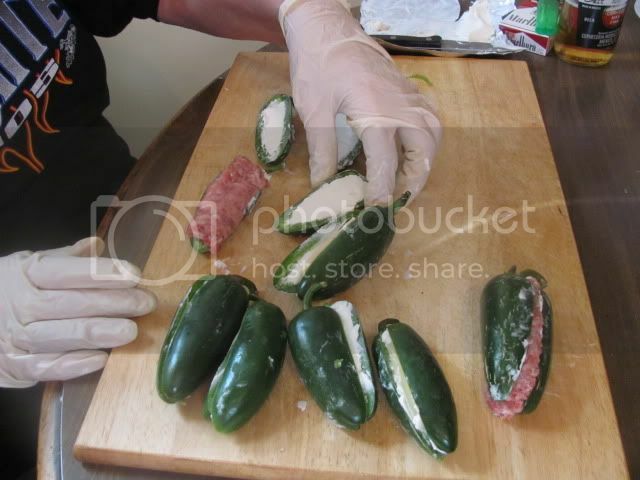 Many folks make ABTs by cutting the jalapenos in half length-wise. I cut the tops off and scoop them out. These were stuffed with pre-cooked, homemade Mexican Chorizo and Oaxaca cheese. Totally bacon wrapped and done in the smoker. Medtran doesn't eat them, so I just make a few for myself. I'm of the cut-them-in-half persuasion. Mmmm I love those. My wife doesn't care for them either so I don't get them often enough. Once a year maybe when SIL comes in. He loves them. Or he'll make the when we visit. Last edited by Luckytrim; 03-03-2017 at 09:41 AM. I don't recall if I posted this before. I love these things. ABT’s or Atomic Buffalo Turds as they are also known are considered BBQ Crack in the barbecuing world. They have received this dubious title because they are addicting. If you put a tray of these out at your next party, don’t think that there will be any left when you return because your guest will eat these as fast as they are made. ABT’s are easy to make and very tough to put down. 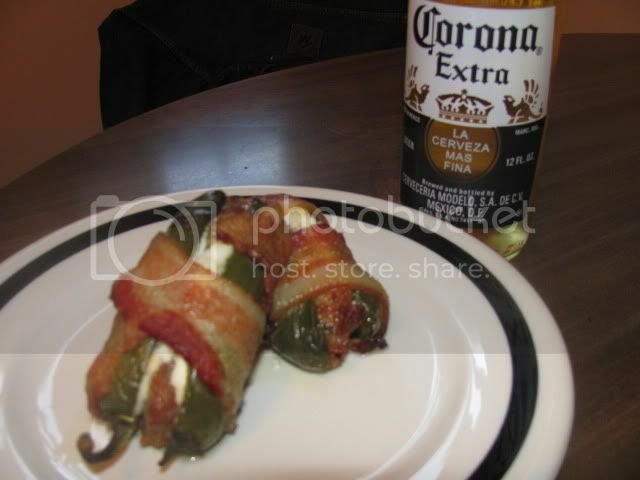 Now personally, I am not a big jalapeno fan. However, when you de-vein and smoke a jalapeno, most of the heat normally associated with the pepper is gone. What is left is a very rich flavor in a small little package. Every bite in an ABT is a symphony of flavors in your mouth. 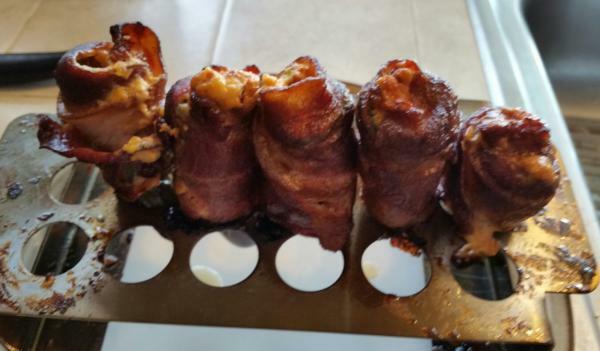 You start with the smoked bacon flavor; move to the jalapeno, then to the cream cheese / onion and finish up with a cheddar flavored smoked sausage. Here is a list of ingredients to make approximately 20 ABT’s. With the smokies inserted in the ABT’s, sandwich the smokie in between both sides of the pepper and wrap tightly with ½ to 1 full piece of bacon. Place the ABT’s on a preheated smoker at 250 degrees and cook for approximately 2 hours until done.